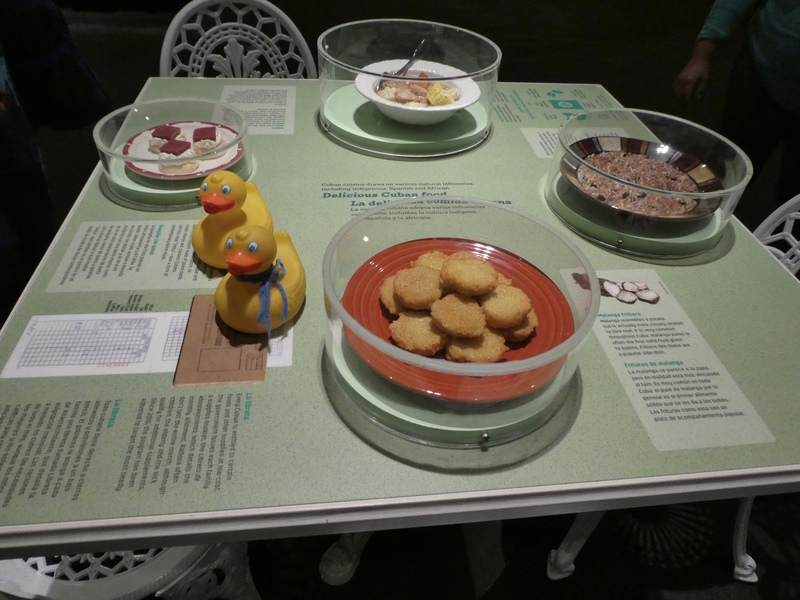 I, Zeb the Duck, and Soapy Smith Duck visited the Cuba exhibit. 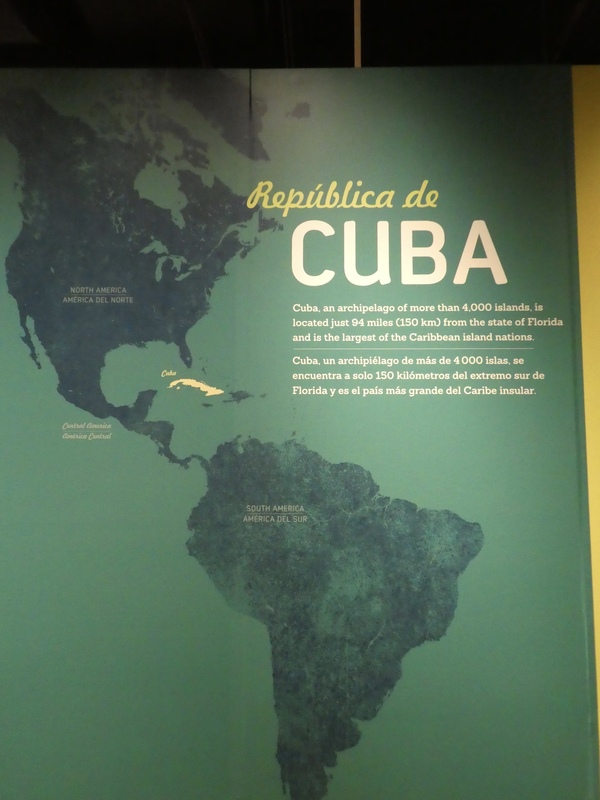 Cuba, the largest Caribbean Island nation, is only 94 miles (150 km) from our state of Florida. But for many decades Americans could not visit this tropical island. 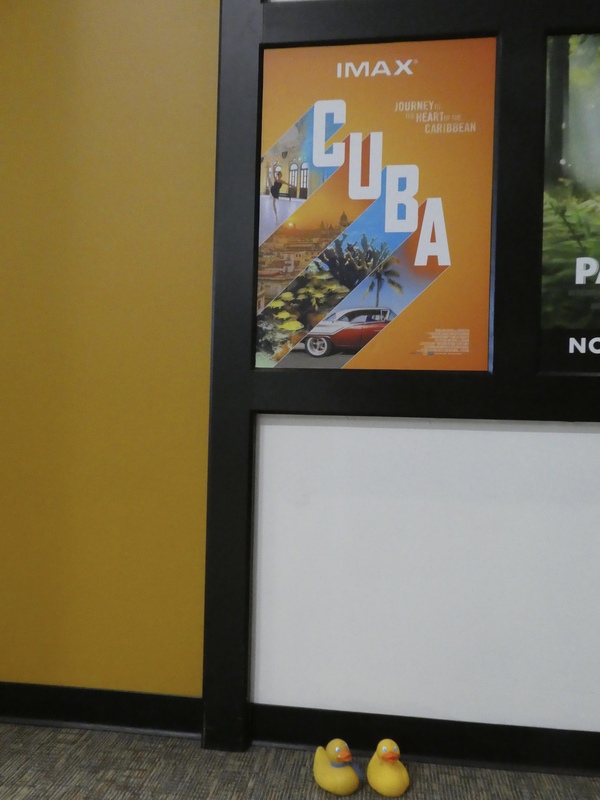 Cuba and the United States have very serious political and economic differences so travel between the countries has been prohibited or restricted since the 1960s. 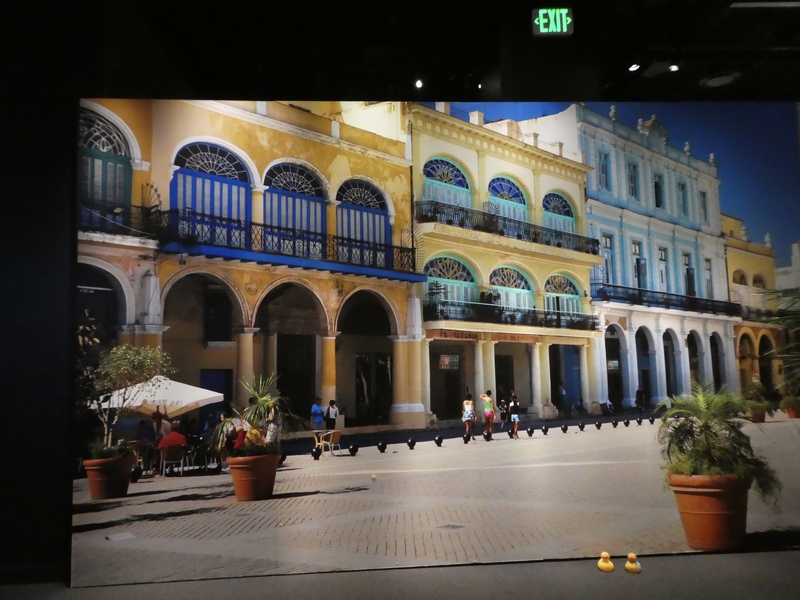 This exhibit at our museum looks like a main street in Havana, Cuba. You will see store fronts, small businesses and Cuban people. And the cars. Cubans still have old cars from the United States. Those built in the 1950s and early 1960s. The Cuban people have developed incredible mechanical skills. They cannot get original parts for replacements, so they improvise. The automobiles still run and are in great condition. These large American cars are very popular as Cuban taxis now. In recent years, Americans have been able to visit Cuba on approved tours, if requirements are met. 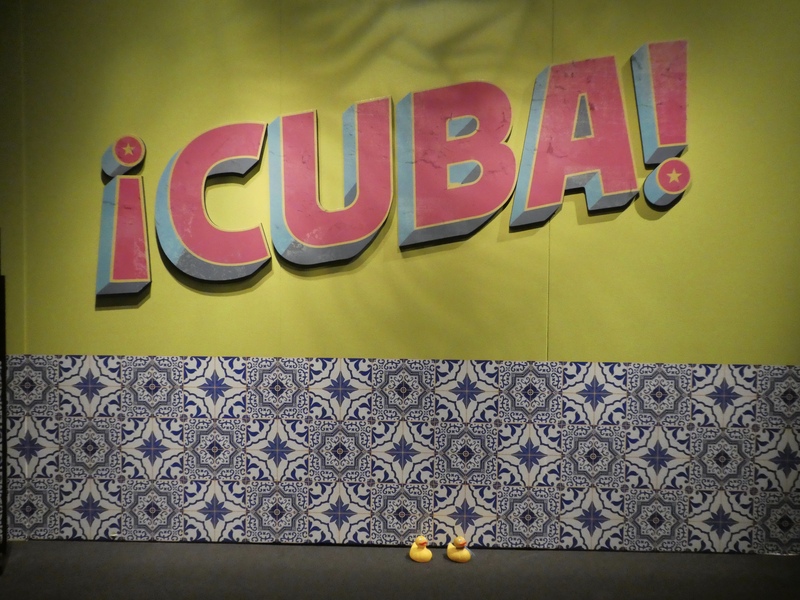 I, Zeb the Duck, and mom visited Cuba in December 2013. 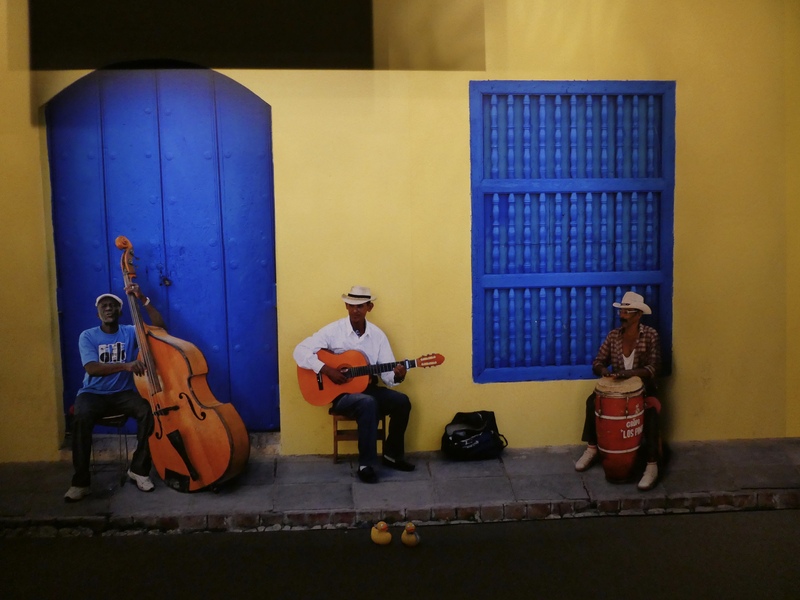 The exhibit in Denver shows many things we saw on the streets of Havana. 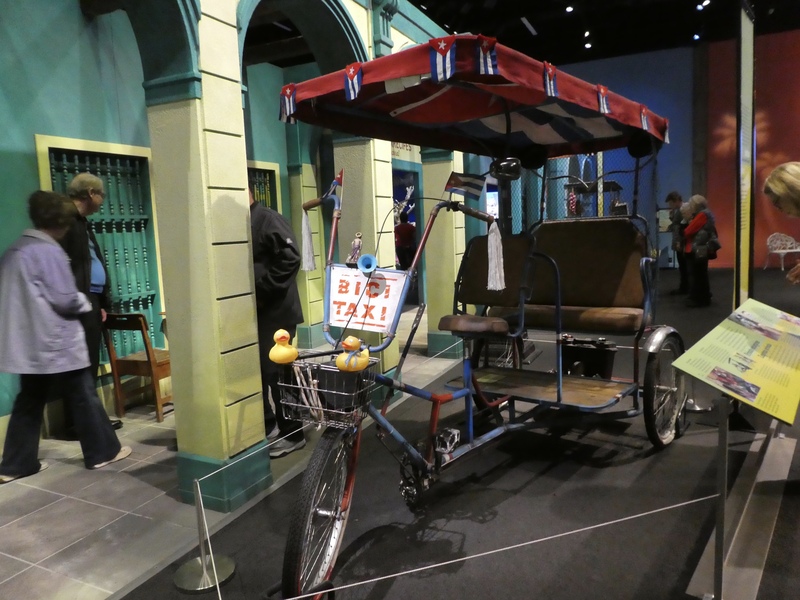 Cars are scarce and very expensive in Cuba, so bicycle taxis are also popular. Many Cuban people ride bicycles and many others walk wherever they need to go. The food is delicious. We, Zeb and Soapy, would like to sample these, but mom said no. Many of the coral reefs in the Caribbean are sick or dying, but the Gardens of the Queen Reef is healthy. The fish around the reef are beautiful. The two main crops of Cuba are sugar cane and tobacco. This is a tobacco shop. 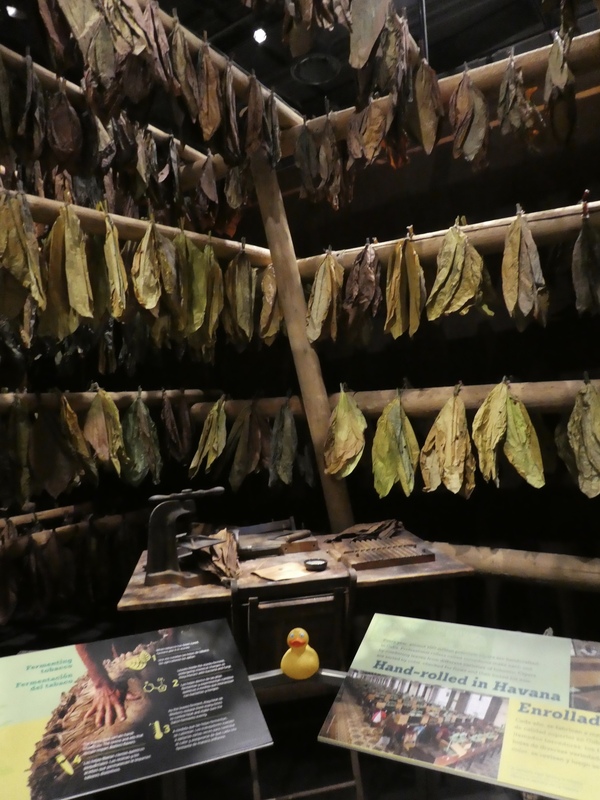 The hand rolled Cuban cigars are among the best in the world. Often you will hear music in Havana. Many musicians will sit on the street, against a building and play. The music is wonderful and the Cuban people appear to be happy, always with a smile on their face. They love to play games. Men playing Dominos along the street or in plazas are also common. There is much more to this exhibit. The wetlands, southeast of Havana, on the southern coast is definitely worth a visit. 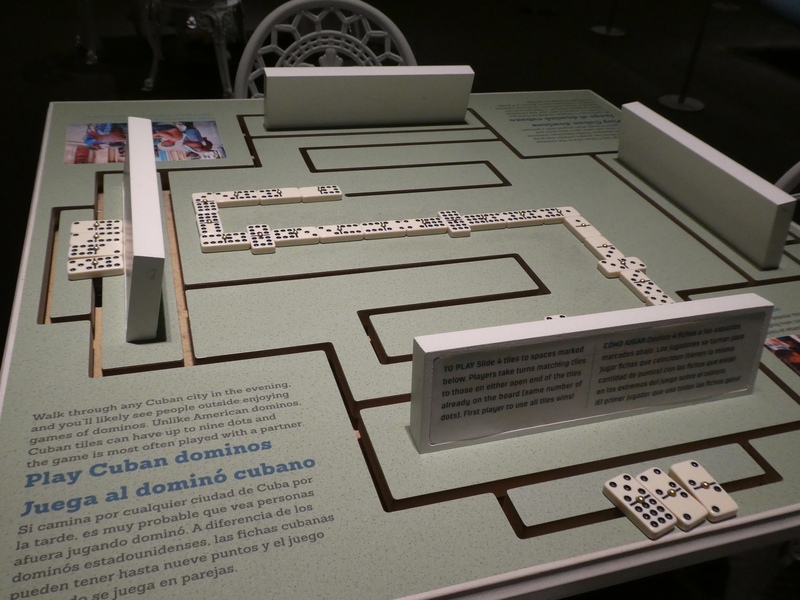 There is also a display recognizing Cuban immigrants in Denver. If you want to see this exhibit, you need to hurry. It will only be here until Sunday, January 13, 2019. 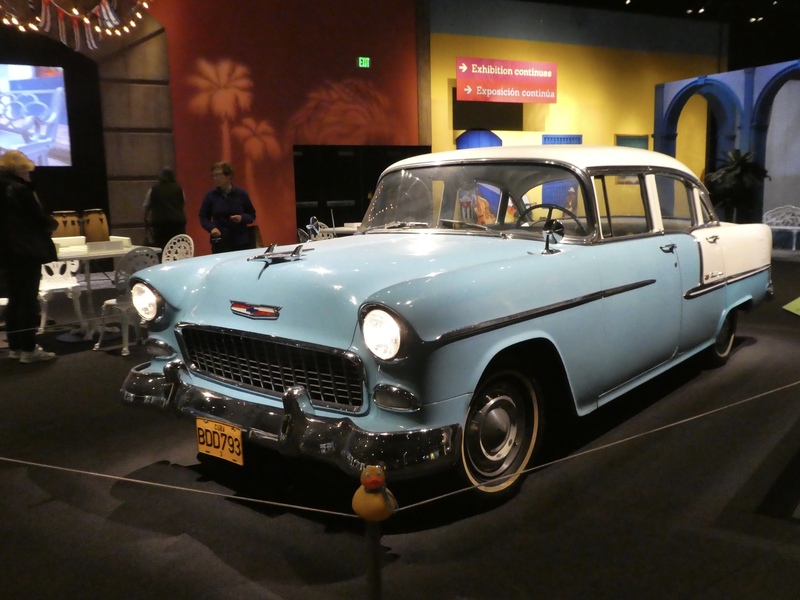 While at Denver’s Museum of Nature and Science, take time to see the IMAX film, Cuba. The film features a man who dedicated his life to preserving Cuba’s old architecture and a young ballet student. The largest ballet school in the world is located in Havana. 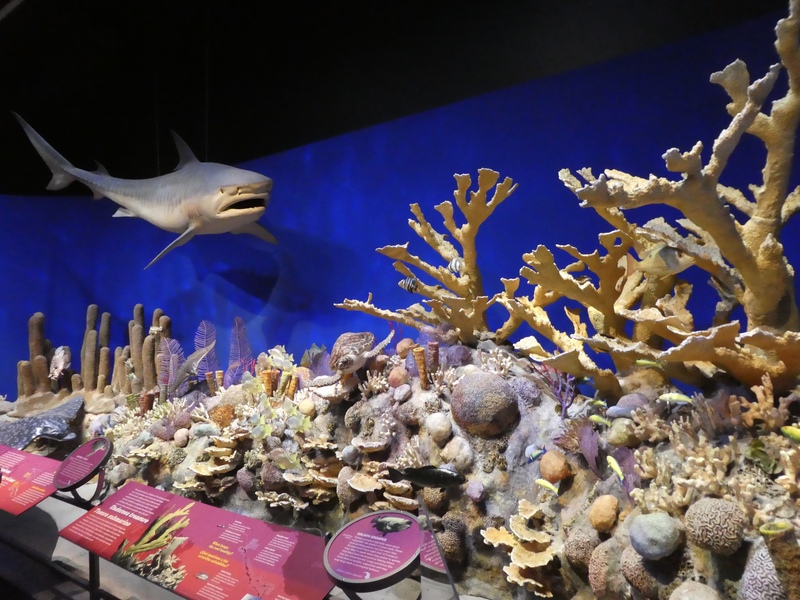 And the film features Cuba’s coral reefs and discovers why Cuba’s reef is much healthier than others in the Caribbean. We hope you visit this exhibit this week. And visit other museums near your home also. You will find something interesting.